Do you know what a “burpee” is? It’s a full-body movement used for strength training and aerobic exercise, and those who attend classes at Moab’s Gym on 5th do plenty of them, along with a variety of other moves. The classes occur in the morning and evenings every weekday — as well as a free class open to the community on Saturdays at 9 a.m. at 420 N. 500 West. And, according to the Gym on 5th’s website, locals get their first class free no matter what day they show up. Each class is led by a trained coach who provides guidance throughout the workout. 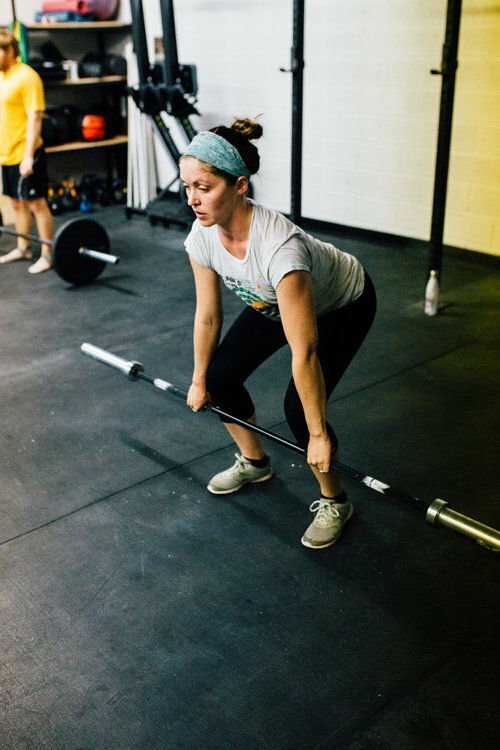 While the Gym on 5th is not an affiliate of the CrossFit brand, the gym’s five coaches all have CrossFit level one certifications, said co-owner Emily Klarer. “The coach is there to not only teach you the movements, but to keep you safe,” Klarer said. She said coaches help participants do the workouts in ways to avoid injuries, including scaled versions of the exercises for different fitness levels, or other health considerations. For example, a person who has a knee-joint issue may use a rowing machine instead of running. One-hour classes include a warm-up and a strength-training session followed by the “Workout of the Day,” or WOD. A cool-down exercise completes the class. Participants should wear comfortable, stretchy clothes and running or tennis shoes. 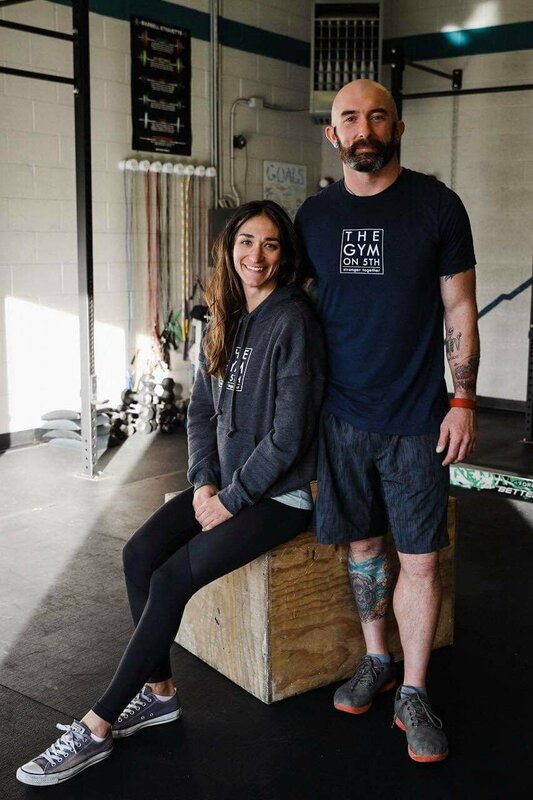 Klarer said she and her partner Casey Montandon opened the Gym on 5th two years ago, and their intention was to be different from other workout spaces in town. They didn’t go into it with the intention of attracting a lot of new members, but decided to begin with the kind of high-intensity interval training workouts they enjoy and see if anyone else was interested. “Now we have lots of friends,” Klarer said with a smile. The gym’s website elaborates on the diversity in its membership. “We’re a community of athletes and working professionals; small business owners, mountain bikers, climbers, and construction workers; foodies, chocolate-addicts, parents (dog moms and dads included); we are locals, tourists and politicians. We’re all from different backgrounds, but here we’re all on the same page,” it reads. Now, Palmer said, she goes five or six times each week.